kwaaba Bed & Breakfast Inns is the upscale lodging collection owned by husband and wife team Glenn Pogue and Monique Greenwood. The couple fell in love with inns when they stayed at their first bed and breakfast back in the early ’90s. As guests, they enjoyed the hominess and intimacy of the B&B experience, and Monique quickly discovered that innkeeping combined all of her personal passions – architecture and interior decorating, entertaining and meeting new people, and helping others create wonderful, lasting memories. She serves as president and CEO of the company. While driving down a block one day in her Brooklyn community, Monique had a brainstorm – “why not create a bed-and-breakfast right here in our own neighborhood of Bedford-Stuyvesant?” Glenn agreed that Brooklyn – which would be the fourth largest city in the country if it were a city unto itself – had no major hotels at the time, and their bed and breakfast idea just might work! Their dream house was a dilapidated mansion the kids in the neighborhood called “the haunted house.” Friends and neighbors looked at the couple as if they had three eyes when they announced their plans to purchase the 1860s mansion, return it to its original grandeur, and operate it as an upscale inn. And they did have three eyes – the third eye is the eye of vision: the ability to see the possibility. 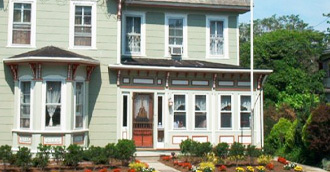 It was Cape May, New Jersey, where Monique and Glenn first stayed at a bed and breakfast. The quaint town with the beautiful beach became an annual pilgrimage for the pair, especially at Christmastime. On the beach in 2002, Monique had an “ah-ha” moment and decided to reprioritize her life. It was her 40th birthday, and she was the successful editor-in-chief of Essence magazine. She was also a wife and the mother of an eight-year-old daughter, a budding book author, co-owner with her husband of Akwaaba Café, a 72-seat restaurant down the street from the Brooklyn inn, and landlord with Glenn of 13 residential apartments and six commercial spaces. Something had to give. On the beach that day, Monique decided she would return home and resign from her job at Essence. But before she left Cape May, (and while she still had an Essence paystub! ), Monique met with a realtor to look at small cottages that she and Glenn might buy as a summer home and one day retire to. The realtor suggested they buy a bed and breakfast instead, since they were already in the business and Cape May is the East Coast capital of inns. That was too tempting of a proposition, says Monique, for a workaholic who had only been in recovery, at that point, for two days! The couple purchased the Annabel Lee Guest House, a quaint six-room inn in May 2002. The day after closing, they were welcoming guests, but they took most of the summer to redecorate and reopen the next season as Akwaaba by the Sea. 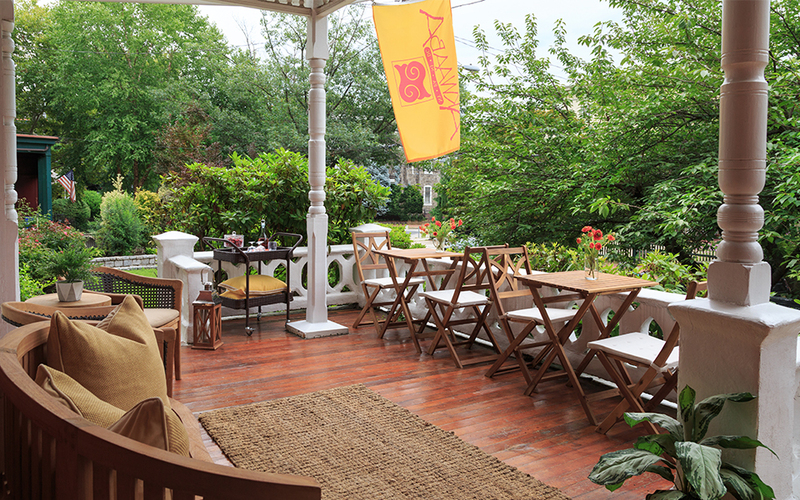 Built in 1850, the Victorian gingerbread is a cozy retreat four blocks from the beach, which is now available as a whole-house vacation rental. As Glenn and Monique began planning for an early retirement, they fantasized about spending each season in a different city they love. With private residences in each of their inns, they reasoned New York was the perfect fall place. Washington, D.C., with its cherry blossoms, is ideal in the spring. And the cool breezes of the Jersey Shore make Cape May the choice for summer. So where would they winter? The architecture and energy of New Orleans won them over, so they purchased the beautifully appointed McCarty Park Guest House in the artsy Bywater section of the city, just five minutes from the famed French Quarter. After Monique worked her decorating magic, the couple held their grand opening July 4th, 2005, but one month later, an unexpected, unwelcomed guest came to visit—Katrina. While the inn didn’t flood, their new business drowned, and the couple sold the inn March 2010. In the spring of 2006, when Monique was preparing Akwaaba by the Sea for the opening of a new season, she noticed the real estate agent who sold them their inn walking up the steps to the Buttonwood Manor Bed and Breakfast across the street. Her antennas immediately went up, and she called over for the agent to stop by before he left the block. Sure enough, the owners of the Buttonwood were ready to retire and were motivated sellers. Monique and Glenn had always loved the inn for sentimental reasons—it was where they had their first bed and breakfast experience—and they were always awed by its imposing perch on the oversized corner lot. 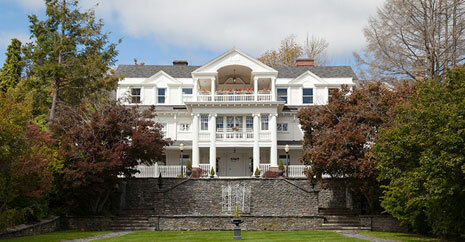 Six weeks later, on Memorial Day weekend, Buttonwood Manor became the fifth inn in the Akwaaba collection. Monique’s 20 years in the hospitality industry culminated with the launch of The Mansion at Noble Lane, which is a former estate of founders of the F.W. Woolworth Corp. Located on 22 lush acres in the Lake Region of Northeast Pennsylvania’s Mountains, the 25,000-square-foot Gilded Age mansion features 14 guest rooms, a seven-room spa and a private tea. A separate 10,000-square-foot recreation building houses a state-of-the-art gym and an Olympic-sized heated swimming pool. The resort features bed and breakfast stays, as well as special “Health and Wellness Weeks” to help men and women get on and stay on the path to optimum health and well-being. “I’m excited to take the journey to be my best me with my guests,” says Monique. …okay, so there are only four seasons, but in 2018, we couldn’t resist Philadelphia! Although Monique and Glenn’s original goal was an inn in a city for each season of the year, they were so drawn to Philadelphia that they added an inn in a fifth city on July 4th 2018. The City of Brotherly Love was a playground for Glenn as a teenager growing up in the small town of Pemberton, New Jersey, and Monique was attracted to Philly for it’s food scene, historic architecture and urban edge. When the couple’s reality TV show debuted on the Oprah Winfrey Network (OWN) at the close of 2017, one of their long-standing guests from Philadelphia hosted a Watch Party for them, at which time Monique announced to the partygoers that if she ever considered another inn, it would be in Philly! 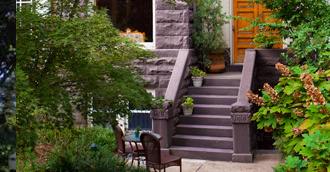 The co-owner of the cafe, where the party was held, was also a real estate agent, and by the end of the night, she had printed out and presented to Monique five property listings in Philadelphia that she thought would make for a great Akwaaba B&B. 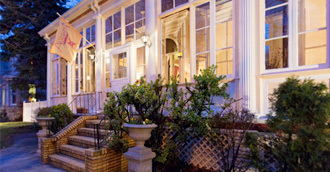 Monique and Glenn ultimately decided on and purchased the former Spruce Hill Manor inn in the University City section of Philadelphia. The 1880s mansion now features six suites and events space, all celebrating Philadelphia’s rich music legacy.